When you think about work, do you get that warm, cozy feeling? Most likely not. That’s where Hygge comes in. Hygge means cozy, and, as summer interns for toth shop, a company based out of Hygge’s 3rd Ward location, we felt cozy and comfortable almost immediately working alongside the Hygge family. Over the course of the summer, we learned that each respective Hygge location is unique and quirky, and, in turn, each location is home to unique and quirky coworkers. If you’re new to Hygge, here’s a quick history lesson: The first Hygge – located in 3rd Ward – opened on October 31, 2015. The concept grew quickly to include Hygge West on Remount Road, and then third Hygge location at the historic Camp North End. 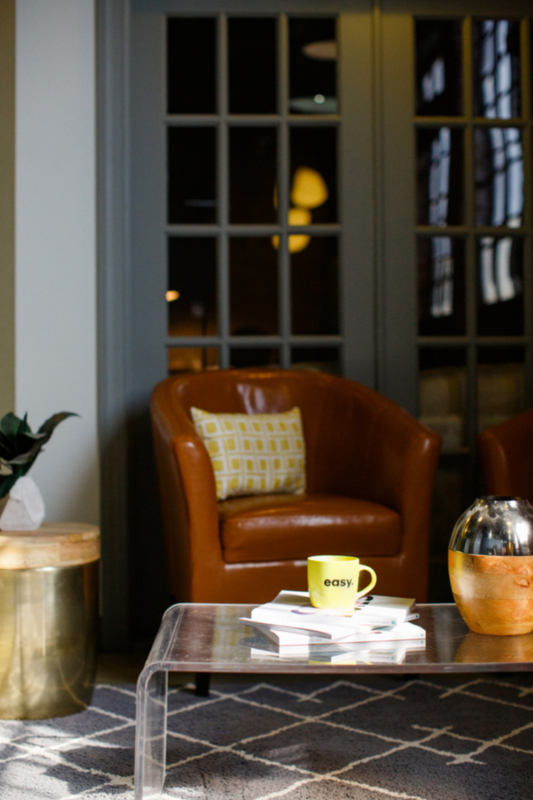 In spending time across several Hygge locations this summer, we learned a thing or two about coworking; lessons which are both business and life lessons that we’re taking back to college with us. As soon as you tap unlock on the Brivo app, you open Hygge’s front door, and you’re smack dab in the middle of a place full of creative and passionate people. (Seriously – almost immediately upon entering, there’s someone new to meet.) Which means there’s always an in-the-moment, real-time opportunity to connect and network with someone new. It’s everything we learn in the classroom about professionalism – but with a twist. You have to be ready for those networking opportunities. There’s always something new and different to learn. Want to meet people from all different backgrounds and learn a new skill in one class? Enter SkillPop. SkillPop offers classes where you can learn new skills either for fun or to build your knowledge. We each took a SkillPop at a Hygge location. I (hi – it’s Emma) took Adobe InDesign Basics taught by Hannah Maschoff. It was really through this SkillPop that I realized how important marketing is to the business world. Adobe InDesign is just one way you can create eye-catching pieces that will improve your brand and market your work best. Now, I know how to maneuver around the Adobe software and in turn, make cool designs. This summer I (Hi – it’s me, Elaine) took two classes on marketing where I learned new skills to help me stand out as a Marketing major at Queens University of Charlotte. These classes were: Conquering Digital Marketing with Brittany Whitlock and Marketing Essentials with Blair Primis. Whitlock’s class taught me about social media, web search, email marketing, and Google Analytics. She provided me the knowledge and tactics to navigate these main digital marketing platforms. In Primis’ class, I learned a basic overview of marketing which helped to strengthen the foundation of my marketing education. Many of these classes take place at Hygge meeting room, but what’s even more special is the people you meet at these classes. From teachers to grandmothers to pre-teens to working professionals, it’s good proof you never stop learning. There are all kinds of work styles. You’ll overhear some phone calls or bits and pieces of in-person conversations; you’ll see people who walk the space to think or brainstorm; you’ll see people who need a whiteboard to strategize. You’ll even hear people talking enthusiastically and seriously about Drake’s brand. It’s all okay; it’s cool even. Because you’re watching and respecting how others work and how their respective work style help to shape their work. Find people who build you up. Passion seeps through everything at Hygge. And it looks different for everyone. Sometimes that passion is relaxed and peaceful; other times, it’s serious and highly-focused style. Regardless, Hygge works uniquely and differently – yet together. There’s a lot of conversation and a lot of collaboration. That’s the stuff that builds someone else up. Hygge’s taught us to surround ourselves with people who build you up. That can be someone to bounce ideas off of or someone who’s willing to offer feedback on a piece of work. Branding is critical – and fun. 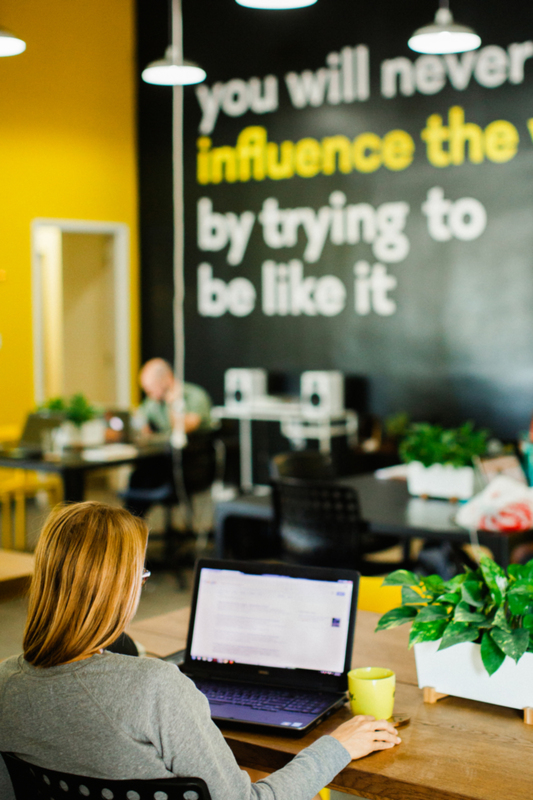 When we think of coworking at Hygge, we immediately picture someone drinking out of a bright, yellow “easy” mug. It’s a staple here at Hygge. Everyone recognizes them. Everyone loves them. We’ve seen how critical that piece is to Hygge’s brand – and how fun it is. There’s just something about drinking out of that mug that makes people think they can do anything. In that sense, it’s both community and inspiration. Life does not have to follow the traditional path. Does your life seem like it has already been planned out for you? College, graduate school, the nine-to-five. Part of the uniqueness we experienced at Hygge is about choosing to follow your own path – not to follow the traditional path. 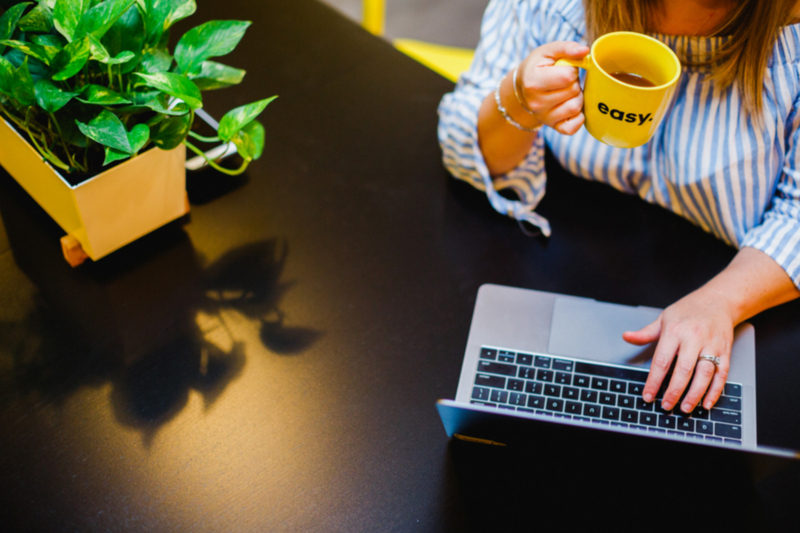 Whether these members work for a larger company or have started one of their own right here at Hygge, they are creating their own path to success. Everyone seems to have fun with their work; everyone feels fulfilled. If we learned anything, it’s this – the person sitting next to you could be your next business partner. We watched this kind of relationship unfold while we interned at Hygge this summer. Good example: Hygge’s very own members and content creators – toth shop and Julia Fay Photography – joined forces to create a new business – toth + fay. That proved to be an important life lesson – two can be better than one. Coworking opened our eyes to that possibility. Want to see some coworking in action? This piece was co-written by us (Emma and Elaine – we know both our names start with ‘e’) as we got to know each other and work together this summer. If anything, this proves the crazy, cool, collaborative power of coworking. Thanks for a great summer, #hyggefam.